For those fed up with their cable or satellite TV company, there has never been a better time to cut the cord. Streaming video services are giving traditional pay TV stiff competition by delivering live sports and prime-time programming online, often for a drop in price, while premium channels like HBO and Showtime are available as separate streaming services or add-on bundles. In addition, there are no hidden charges with live-streaming TV, and if you ever decide to cancel, it’s easy and painless — a refreshing change from the hassle of dealing with cable and satellite call centers. PlayStation Vue, Sling TV, DirecTV Now, YouTube TV, and Hulu with Live TV are emerging as major competition to traditional pay TV. 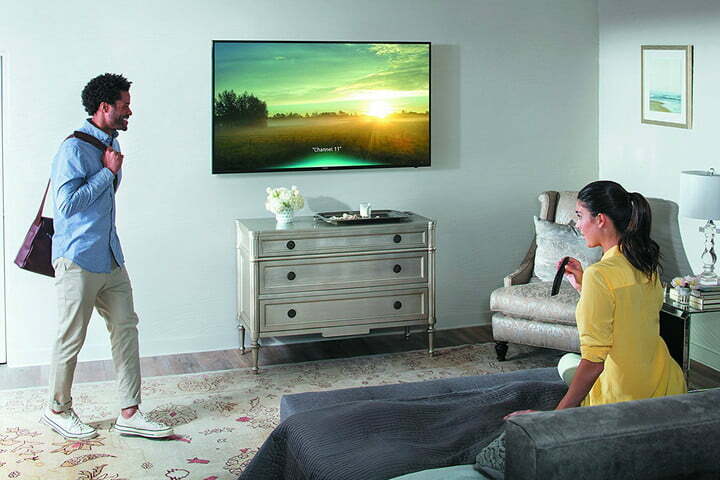 Offering both live and on-demand programming and — in some cases — cloud-based DVRs, the services are more-than-capable cable alternatives. But which is the best live-streaming service for you? In order to help you sift through the chaos, we’ve put together this handy guide detailing each service’s features and content offerings so you can size them up directly against their rivals, and decide which is the best streaming TV service to help you dump cable. *Each service has conditional inclusion of the major networks it carries. Some markets will have access to live network channels, including local programming, while others will be on-demand. In some select locations, one or more of the networks — or even an entire service — may not be available at all. Be sure to check the websites for PlayStation Vue, SlingTV, DirecTV Now, YouTube TV, and Hulu for availability in your area. We’ll be honest: PlayStation Vue’s pricing and packages are confusing, in part because the service’s local channel affiliate contracts are extremely complicated. Which channels you get — and even which plans are offered — will depend on your location. PlayStation Vue’s packages come in two varieties — with local channels or without. The packages that do not include local programming are noted as “slim.” So, for example, the basic package, Access, costs $40 per month in markets where local channels are included. In all other markets, however, Access Slim is $30 per month and doesn’t include live local programming (prime-time content is still available on demand, however). This is the same across all Vue packages. If you currently only have access to the Slim packages, the good news is that Sony adds new markets quite frequently, so it’s possible live channels will be available for you in the future. With that explanation out of the way, let’s dig into the plans themselves. Access/Access Slim grants you access to 45 live channels, including ESPN, CNN, AMC, and more for $40/$30 per month respectively. Those with the Access plan will have access to live ABC, NBC, Fox, and (in select markets) CBS local affiliates, while Access Slim customers will have on-demand access to programming from those networks. Beyond Access/Access Slim, Vue has three more subscription tiers. Core/Core Slim offers 60 channels at $45/$35 per month, and adds channels like CSN, ESPNews, and ESPNU, as well as Turner Classic Movies, to the previous tier’s list. Up next is Elite/Elite Slim, which provides 90 channels at $55/$45 per month, and adds Epix Hits, Machinima, and many others. The top-tier package for PlayStation Vue is Ultra/Ultra Slim, which includes the full suite of 90-plus channels, plus HBO and Showtime bundled in for a grand total of $75/$65. There aren’t many options when it comes to à la carte choices, however. Stand-alone subscriptions are available for the aforementioned Showtime and HBO, as well as Machinima, Fox Soccer Plus, and Epix Hits at varying prices. Bear in mind that most or all of these add-ons appear in the Elite and Ultra package tiers. Sling TV offers two different basic channel packages, Sling Orange ($20/month) and Sling Blue ($25/month), but they aren’t as straightforward as Vue’s options (which, as we noted, are already complicated enough). Instead of simply adding more channels to a base selection like Vue does, Sling’s two packages vary quite a bit from one another. 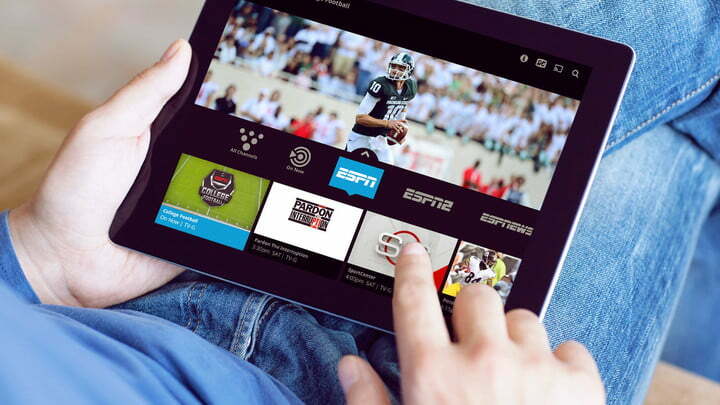 With Sling Orange, you’ll get 20 channels, including several of Disney’s ESPN properties. Sling Blue ditches the Disney-owned channels — including Disney Channel, Freeform, and most importantly, ESPN — but bumps the total number of channels to over 40 for 45 more, and adds Fox Sports channels. From there, Sling offers a number of add-on channel packages at varying prices, including broadcast networks like ABC, favorites like MTV and Spike, or premium cable options like HBO or Showtime. Depending on your base package, though, some channels may not be available. For a detailed breakdown of Sling TV’s numerous offerings, add-ons, and limitations (especially important when it comes to sports packages), check out our Sling TV guide. A major new inclusion with Sling TV is regional sports channels. If you have been hesitant to ditch cable because you don’t want to miss your team playing on a local sports channel, you can now cut the cord without feeling you’ll be missing out. DirecTV Now’s packages are more straightforward. There are four packages, each building upon the previous one. The cheapest is Live a Little, which provides 60 plus channels for just $35. This tier offers most of the obvious choices, including broadcast networks ABC, Fox, CBS, and NBC, and plenty of favorites like Cartoon Network, ESPN, and FX. The package also has Viacom channels — MTV, Comedy Central, Spike, etc. — which currently aren’t available on PlayStation Vue. The final package tier is called Gotta Have It, which brings the channel count to over 120 for $70 per month. DirecTV Now also offers HBO and Cinemax for just $5 each, which is a fraction of the price charged by Sling or Vue, and well below the stand-alone cost. We do feel it’s necessary to point out that, at a certain point, the high prices and glut of unnecessary channels you’ll get with either DirecTV Now or PlayStation Vue are exactly the reasons most people quit cable in the first place. 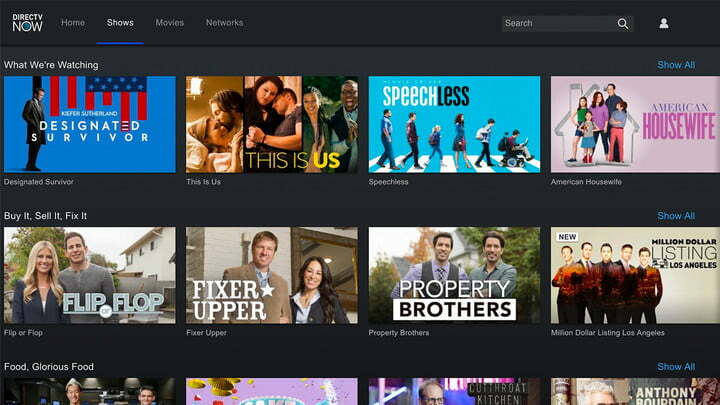 Add on a streaming service or two, and you’re right back to the high prices of cable. However, it’s hard to argue with DirecTV Now’s generous promotions as the service aggressively seeks new subscribers. And the best part is you can always cancel quickly and easily. YouTube TV’s sole package costs $35 per month for 45 channels. That makes it a bit more expensive than the basic offerings from Sling TV and PS Vue, and equal to DirecTV’s entry package. The only service it beats in the number of included channels is Sling TV. That might raise questions about its value, but a closer look reveals a few notable perks. It includes ABC, NBC, Fox, CBS, and CW at a reasonable price. Its local affiliate programming has also expanded, and is now reportedly available to nearly 50 percent of customers. YouTube TV also has the widest number of sports channels for the money, including ESPN, ESPN2, ESPN3, ESPNU, ESPN News, SEC Network, CBS Sports Network, CSN, NBC Sports Network, Fox Sports, BTN, FS1, and FS2. You’d have to subscribe to one of the higher-tier packages from PS Vue or Sling TV to get all that elsewhere. Like the other services discussed here, YouTube TV will also likely be adding channels as time goes on. YouTube TV also carries all original video content from YouTube’s other premium service, YouTube Red. Finally, you can get a 30-day trial and, for a limited time, a free Chromecast when you sign up. The service added some new channels in May 2017 including AMC, BBC America, Sundance TV, IFC, and Telemundo, but there are some niche gaps like MTV2 and Nick Jr., and the only two add-on channels currently available are Showtime and Fox Soccer Plus. Sure, you can get HBO as a separate streaming service at $15 per month, but if you’re looking to combine all your internet TV into one package, you’ll want to think twice about this one for now. Hulu’s single $40 per month plan (called simply Hulu with Live TV) gives subscribers 55-plus live channels (the exact number will be dependent on your market). You’ll get ABC, NBC, CBS, and Fox, either live or on-demand depending on your location, plus dozens of popular channels like CW, CNN, A&E, The Disney Channel, Fox News, and FX. The inclusion of all four networks avoids the pitfalls of CBS’ conditional inclusion for PS Vue customers, and the package-dependent offering of Sling TV’s ABC add-on. Otherwise, Hulu has similar market-based restrictions for live coverage of these channels to every other service. Hulu With Live TV provides YouTube TV some stiff competition when it comes to sports, providing 12 different sports channels, including ESPN, CSN, and Fox Sports 1, which nearly matches YouTube TV’s 13. 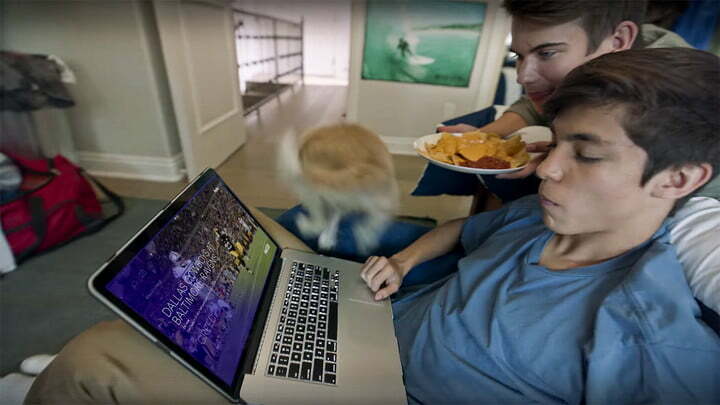 On top of this, Hulu with Live TV will let users follow their favorite sports teams from the NFL, NCAA, NBA, MLS, MLB, and NHL, and will record their games, provided they’re available. Hulu with Live TV subscribers will also be granted full access to all of Hulu’s on-demand streaming library and Hulu original content, essentially coupling a basic Hulu subscription (normally $8 per month) with 50-plus channels of TV. This could give Hulu’s new service a serious edge for some customers, in that it consolidates a live -treaming TV service and a Hulu sub into a single monthly bill. Finally, Hulu with Live TV has the lowest number of add-on channels available right now compared to the others, only offering Showtime for $9 per month, which is the same offer and price you get with a basic or premium Hulu subscription. So who wins? When it comes to the top choice, DirecTV Now takes the trophy, thanks to its glut of channels at a low starting price. There are are some major differences between the devices supported by each of the three services. The chart below breaks it down. The number of supported devices for these services is updated and expanded regularly. Be sure to double-check device support on each service’s website. A quick glance at the above chart makes it clear that the longest-running service, Sling TV, supports more devices — but it’s not a landslide victory. We expect all five services will continue to expand device support as time goes by. YouTube TV lags behind the others, but in October 2017, the service began expanding support to new platforms, including Android TV, Nvidia Shield, and all Xbox One Consoles (Xbox One, Xbox One S, and Xbox One X). At launch, Hulu with Live TV only featured a few devices, but now beats out YouTube TV and DirecTV Now, but still lags behind PS Vue and Sling TV overall. That said, it is the only of the services currently supported by Nintendo’s latest handheld-home console hybrid, the Switch. We’ll add the caveat that PlayStation 3 or PS4 owners with a PlayStation Plus subscription may want to consider Vue more seriously, as there are certain stand-alone channels only available to PS Plus members. SlingTV, DirecTV Now, YouTube TV, and Hulu with Live TV give users access to the same content across all platforms. In fact, Hulu with Live TV will use the basic Hulu apps that subscribers already use. In contrast, using PlayStation Vue on a TV or set-top device is a very different experience than using it on a mobile device, as some channels will be inaccessible on the go due to licensing restrictions. Further, you can’t access any of your recorded content on a mobile device. While Sling TV supports a wider swath of devices and doesn’t have any mobile restrictions, it does have tighter restrictions on the number of streams an account can run at a given time. The standard Orange subscription allows only one simultaneous stream per account, while the pricier Sling Blue and combined packages will allow up to three users to stream at once. PlayStation Vue will allow up to five simultaneous streams on separate devices per account, while DirecTV allows for two. YouTube TV will allow for up to three. As for profiles, Vue allows users to make five different profiles per account, but Sling TV and DirecTV Now only support one profile per account. YouTube TV allows for six at launch. Hulu with Live TV users can create up to six unique profiles on a single account, but only two simultaneous streams are allowed. Should that number prove to be restrictive, subscribers can opt for unlimited simultaneous streams for $15 per month (this can be bundled with a separate $15 DVR expansion add-on for a reduced total of $20 per month). Though PlayStation Vue offers more available simultaneous streams, and both YouTube TV and Hulu With Live TV support more profiles on one account, Sling TV is still supported on a wider range of devices than either of its competitors and is devoid of any device-specific restrictions. That’s more than enough to land Sling TV the win for this category. In contrast, Sling TV uses a simple guide without any curation or recommendations, and only allows you to pause/fast forward/rewind on a select number of shows and channels. A June 2017 update enabled cloud DVR support for Xbox One consoles as a $5 add-on. The same applies to Amazon Fire TV, Android TVs and smart devices, and Apple TV. Meanwhile, Roku users get free DVR access. Further support for Windows 10, iOS devices, and AirTV players is expected sometime in 2017. Users can store up to 50 hours of content (or 100 hours for Roku users). Sling TV’s DVR features include setting an entire series to be recorded, multiple simultaneous recordings, and organizing your recorded content with folders. Unfortunately, not all channels support DVR recording on Sling TV. There is also a handy Sling TV feature, Gamefinder, that lets users search for available NCAA and NFL games in your market at sling.com/gamefinder. Finally, Sling TV is the only of these services to include a bandwidth limit, which will keep your data usage from spiking. YouTube TV presents the most flexible cloud DVR support, allowing users to store programming up to nine months after recording, with standard pause/rewind and catchup features. If you have a Google Home device and a Chromecast, YouTube TV can be controlled with voice commands via Google Assistant. Similarly, Google Assistant can even inform you of what content is currently saved to your DVR. While at this time, DirecTV lacks a cloud DVR, it has been reported that AT&T is currently testing and laying the groundwork for a potential rollout of such a featurein the near future, which will allow users to store up to 100 hours of content. No details or dates have been confirmed by AT&T or DirecTV, and thus it lags behind compared to the other services. It’s also worth noting that DirecTV Now has a severely limited amount of content that can be paused, fast-forwarded, or rewound compared to the others. So while it has channels, it’s currently falling short in the features department. Finally, we have Hulu. At the base subscription, Hulu with Live TV supports cloud DVR with 50 hours of storage, but this can be upgraded to 200 hours for $15 a month (or $20 if coupled with the unlimited in-home screen add-on mentioned above). Hulu’s coolest feature is the aforementioned team tracking, which will let users enable automatic recording of games when they’re available. However, one point of annoyance is with the pause and rewind functions. While you can fast forward through a show, you won’t be able to during ads. Despite this restriction, Hulu’s features are overall the most enticing and flexible of the bunch, thanks to the feature add-ons. Hulu also has a separate beta web browser where users can try out early builds of new features that will be added to other platforms at a later date. Features like specialized guide menus, sports and news curation, and more made their first appearance there. All services offer passable video quality, though it often falls just short of what you get from cable, satellite, and some on-demand streaming services. You won’t get HD-quality video at times, and content is heavily compressed to reduce bandwidth consumption. Since none of these services offer standout picture performance, this one initially appears to be a draw. There is an exception here, andit’s Hulu. While the above statements do apply to Hulu With Live TV’s live TV content, a Hulu with Live TV subscription includes access to all of Hulu’s on-demand library as well, which happens to includes 4K UHD quality movies and TV series, such as The Handmaid’s Tale. The catch here is that you need a device that supports Hulu 4K content and Hulu with Live TV, which at this time includes only Xbox One S consoles. (PlayStation 4 Pro consoles support 4K on-demand content from Hulu, too, but currently not Hulu With Live TV.) It’s a small but notable difference that, admittedly, will only be available to sparse a subsection of users, but for now we feel it’s enough to give Hulu the last-second win. 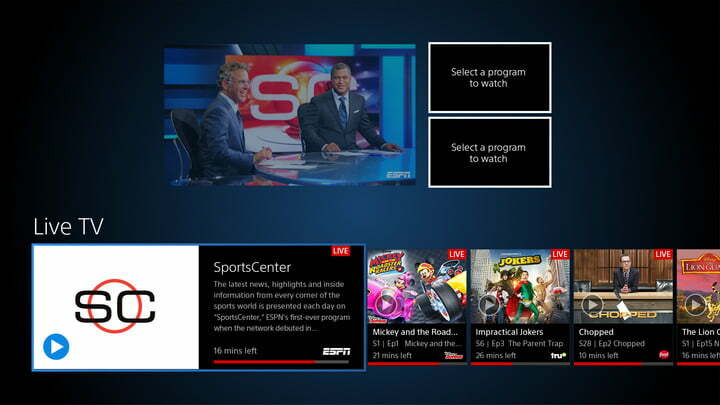 PlayStation Vue offers a great user experience and extra features. As mentioned above, there are also extra incentives for PlayStation console owners. However, the service does have restrictions when it comes to mobile viewing. DirecTV Now has some impressive promotional deals and a long list of included channels that make it an enticing offer for new subscribers (for now), or those looking for a package more in line with traditional cable or satellite subscriptions. 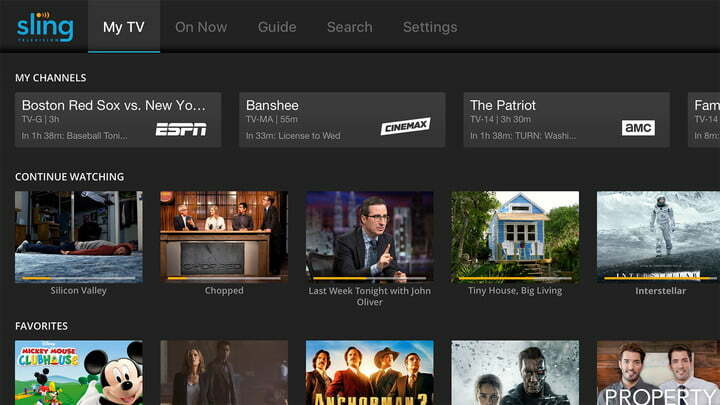 The features list is slim, however, and the lack of a cloud DVR is a serious mark against it. Sling TV is the most versatile, the most affordable, and offers the kind of lean channel packages that many cable-cutters long for — and on more devices, to boot. But it won’t give you the robust channel offerings of its bulkier competitors, and the breakdown of the Orange and Blue tiers makes its channel selection highly confusing. YouTube TV is simple, with just one package, one price, and a couple of add-ons. 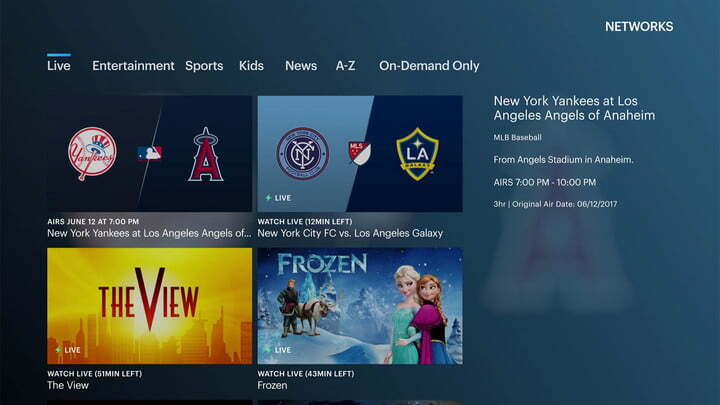 It carries all four major networks, it boasts the largest collection of sports channels up front, and its cloud DVR limits are generously flexible. However, the modest list of supported devices and a smaller number of overall channels makes it less versatile than other services when it comes to programming. Thankfully, one of its major limitations, availability, is quickly turning around and 50 percent of YouTube TV customers now have access to live local programming. Finally, We have Hulu TV, which also offers a single-channel package at a single price, and only one add-on channel, but is the only one with upgradable feature packages. It also folds in the entire Hulu streaming library into its live channel offerings, giving users access to tons of movies and TV not available on the other services. 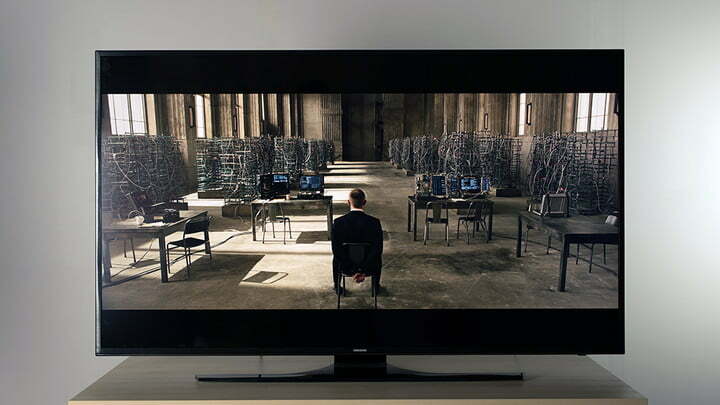 However, the restrictive use of rewind during ads could also be annoying for some. Now that you’ve got the tools you need to make an informed decision, all that’s left to do is make a choice and start streaming! Update: Revised throughout to reflect new features from Hulu, as well as a number of new supported devices and channels carried by all services.